Inventory Labels come in a wide variety of materials, shapes, sizes, and colors. 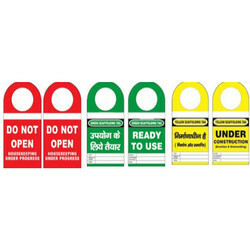 These labels helps to keep your entire facility organized. Inventory labels are used to identify and categorize each item that comes into or leaves your facility. 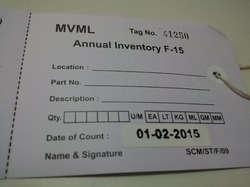 We are one of the leading manufacturer and supplier of Inventory Tags , we are supplying wide range of quality products with efficient pricing.